Our Eyewear Consultants are great at helping you find the perfect frame to match your style. New prescription lenses in your own frames. 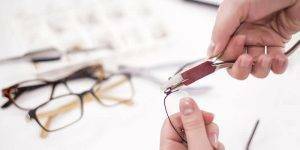 Free repairs and adjustments on any frame you purchased in our optical department.